Ten years ago dangerous surf destinations were all the rage. In fact, in the year 2007, SURFING sent separate crews to Haiti, Yemen and Gabon — at the time, three countries that topped the US Travel Advisory blacklist. Novelty waves? Who cares! Might get kidnapped? It'll make a good story! And while the search for surf in some of the least stable corners of the globe was decently successful, it was also short lived. We quickly turned our attention back to Bali. This will be my first time to Nigeria. My colleague and friend Greg Ewing went in 2012 and scored a crazy right wedge with Ricky Basnett and South African turned ex-pat Nigeria local John Micheletti. He’s the pioneer of the wave (s) in Lagos. Nigeria is a wild place, according to Greg. Apparently, upon leaving Lagos in 2012, they witnessed a dead body being dragged through the back entrance of the airport, leaving behind a trail of gory blood and some serious concern. Pretty wild. Nigeria is like the wild west of today’s Africa. You definitely don’t want to be cruising around on your own there. Thankfully we have John to look after us. 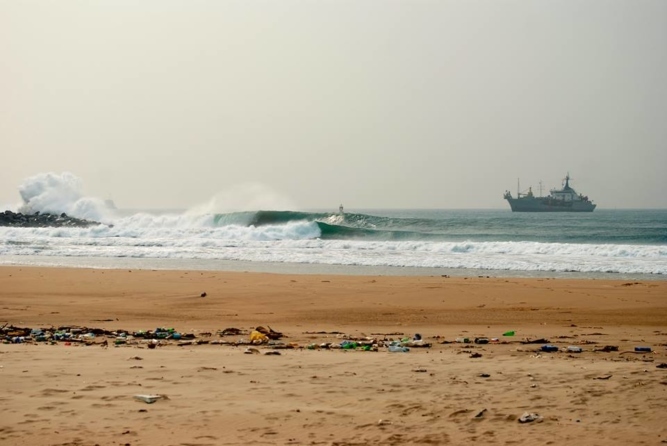 I don’t have any concerns for our own safety, but I’m also not naive to the facts that in certain areas of Nigeria —and Africa in general, really — being that it’s very unstable and dangerous, that as surf travelers we must always use all of our experience and knowledge to be cautious, respectful and keep ourselves safe. As I mentioned, John and his savvy connections in Nigeria will be guiding and hosting us and for that reason I don't feel as though we are taking unnecessary risk. The majority of my travel in Africa has been in Southern and Northern Africa, so I’m very excited to finally be peeling back one layer of the West African surf scene. I mean, there are incredible stories and surf from Sierra Leone to Gabon and everywhere in between. Local surfers are setting up shop in different places and establishing strong and very successful surf tourism opportunities. Personally, I’ve always been a proponent of documenting new surf zones in Africa where local Africans from that specific area can set up and benefit from surf tourism. 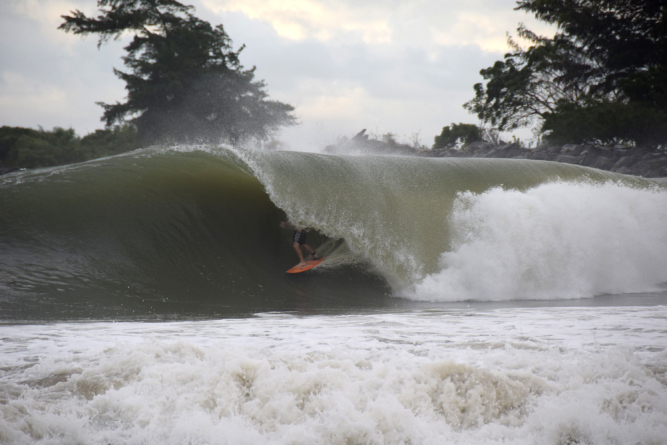 One of my favorite stories from Wes Africa is of the elephants and hippos that frequent the surf in Gabon. A good friend of mine works and travels in the national parks there and has described incredible scenes of barreling lefts with giant mammals floating through them. I would love to see that in person.